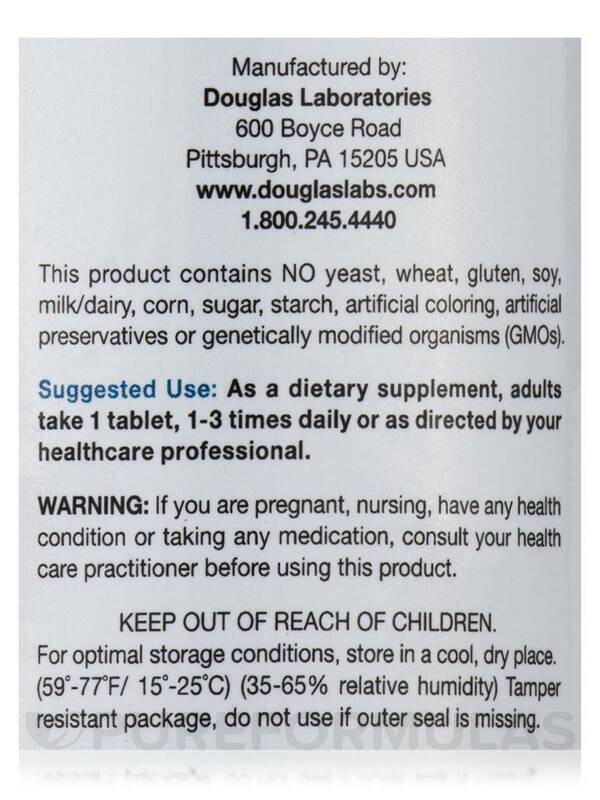 Candistat by Douglas Laboratories is a good Product. It might not be something we think about on a daily basis‚ but the stomach contains a complex balance of bacteria‚ yeast‚ and fungus. These friendly flora are required for digestion and the healthy intake of food in our bodies. Sometimes a stressful lifestyle and poor diet can affect this balance‚ which may lead to the overproduction of candida; a fungal form of yeast that can cause digestive issues and feelings of stress or discomfort. Sometimes the supplementation of naturally-occurring substances can help us put these flora levels back in check. 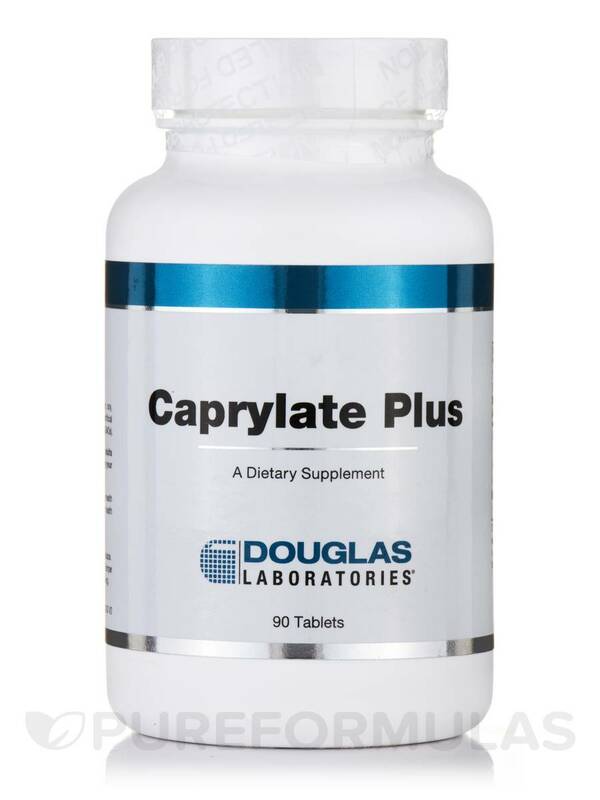 Douglas Labs’ Caprylate Plus is formulated with 70 mg of Caprylic acid‚ which may help in suppressing symptoms of excess candida production. This is an all-natural compound that can be found in coconut oil. 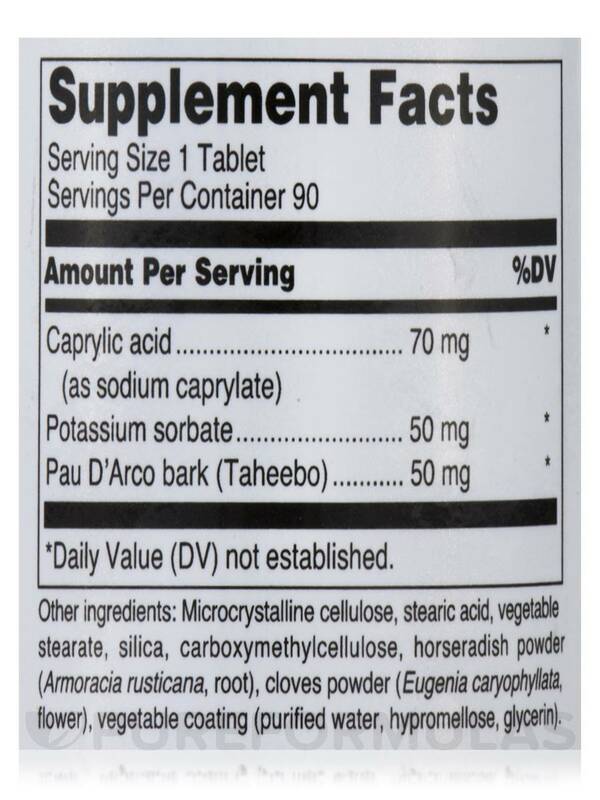 This formula also contains 50 mg of Pau D’Arco bark‚ a South American herb traditionally used to help alleviate stomach discomfort while regulating gut bacteria. 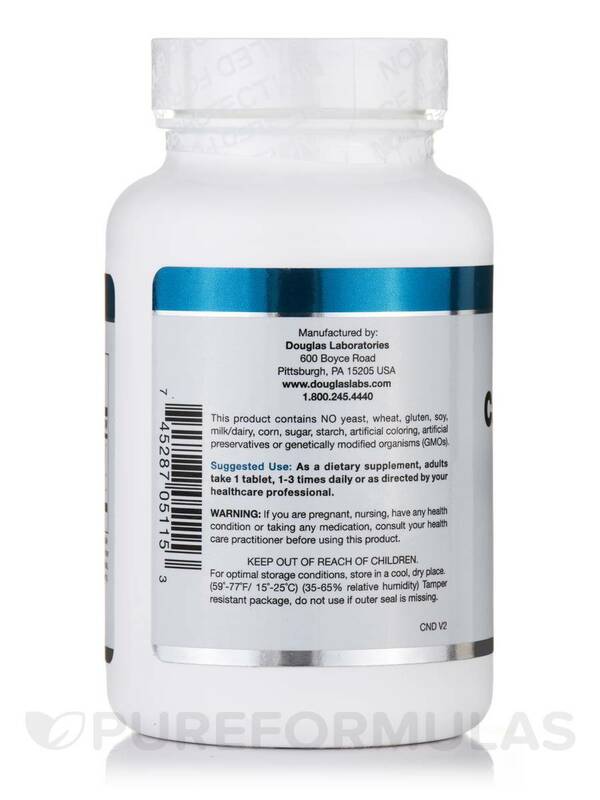 If you are looking for a way to support healthy levels of stomach bacteria‚ then Douglas Labs’ Caprylate Plus may be for you. Order with PureFormulas today for the lowest prices and best customer service around! Other Ingredients: Microcrystalline cellulose‚ stearic acid‚ vegetable stearate‚ silica‚ carboxymethylcellulose‚ horseradish powder (armoracia rusticana‚ root)‚ cloves powder (eugenia caryophyllata‚ flower)‚ vegetable coating (purified water‚ hypromellose‚ glycerin). This product contains no yeast‚ wheat‚ gluten‚ soy‚ milk/dairy‚ corn‚ sugar‚ starch‚ artificial coloring‚ artificial preservatives or genetically modified organisms (GMOs). 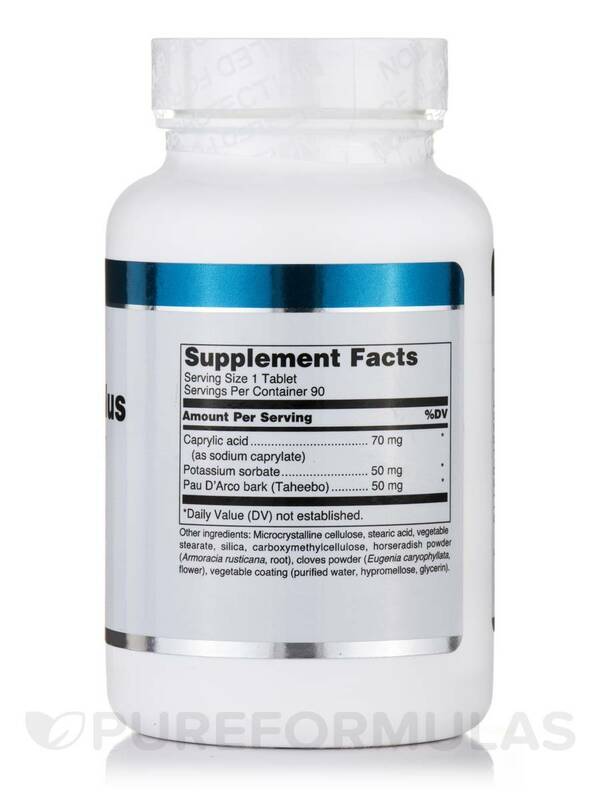 As a dietary supplement‚ adults take 1 tablet‚ 1-3 times daily or as directed by your healthcare professional.